When I lived in New York I would sometimes motivate myself to workout by promising myself a trip to a bakery or takeout place on the way back from the gym. It’s a lot easier to get up extra early before work or drag yourself after a ten-hour-workday if there is a reward waiting for you in the form of delicious food. It works for me every time. Sunday mornings I would often take a free class at the local Lululemon (Sidenote: those people are brilliant to offer free classes in their stores before business hours; people shopped with their eyes while doing warrior-one and downward-facing-dog.) which was within a few blocks of a then new place by the City Bakery people. On my first visit to this bakery I was completely sold when I saw Maple Bacon Scones on their menu. Um, yes please. And I figured what better way to start the New Year then with a breakfast of champions where I would recreate said scones? I started out by candy-ing some bacon. Then I hunted all over town for pure maple extract. That part wasn’t easy, but the hunt for the real stuff as opposed to the artificial stuff was well worth it. I suggest you do the same as the imitation kind alters the flavor of the scones and doesn’t in fact taste much like maple at all. 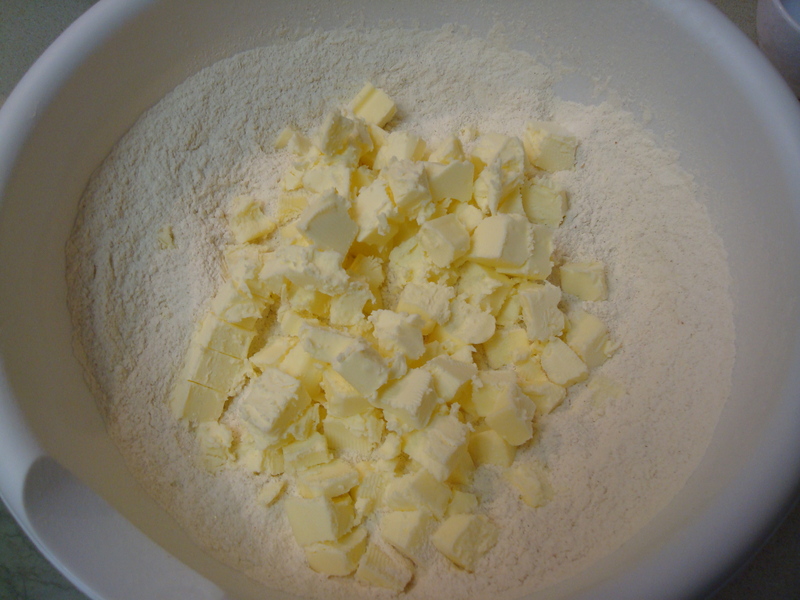 Then I mixed together some flour, a lot of butter, some sugar, the usual baking suspects (baking powder, soda, and salt), an egg, a little cinnamon, buttermilk, and the star ingredient. Once the dough was kneaded and formed into scone shapes I brushed them with the remaining buttermilk and dusted them with raw sugar and baked them. 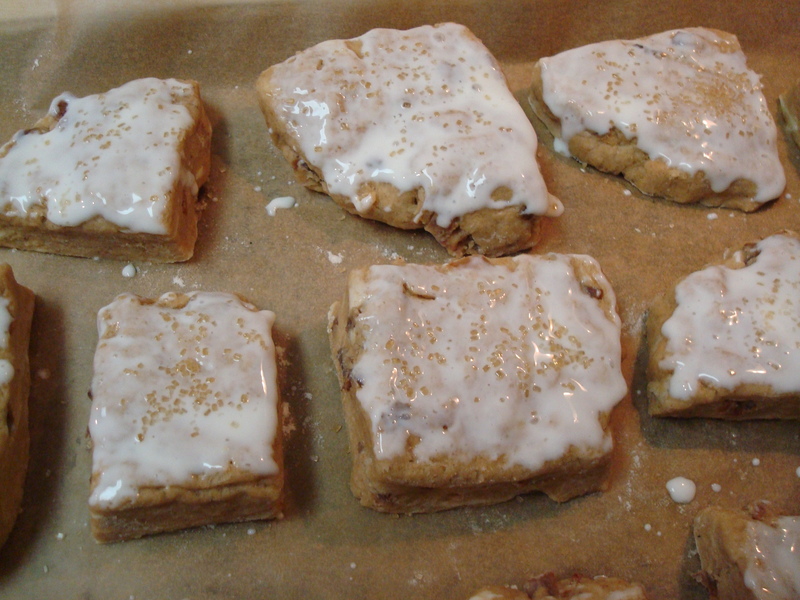 Afterwards they got glazed with a little confectioners’ sugar and maple syrup. Very tasty. And better yet, no strenuous yoga was necessary to enjoy them this time! 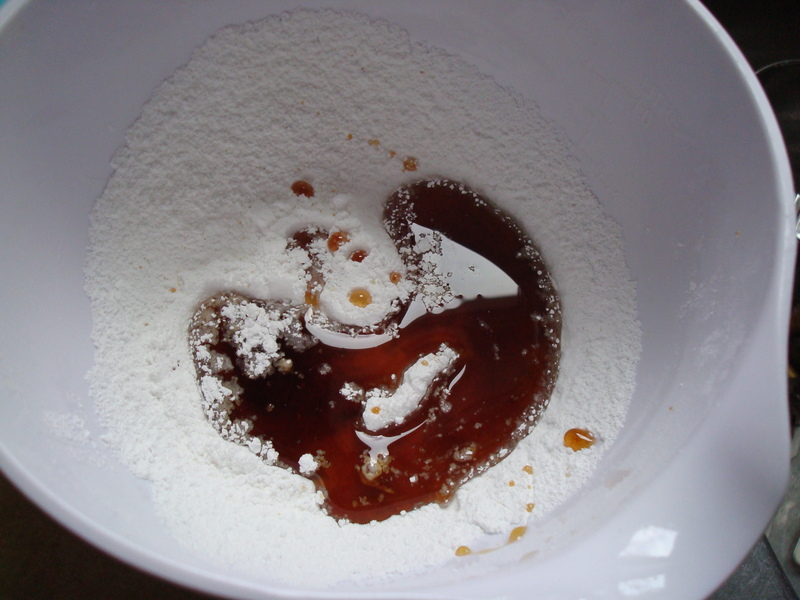 In a separate bowl, whisk together the egg, ¾ cup of the buttermilk, and the maple extract. 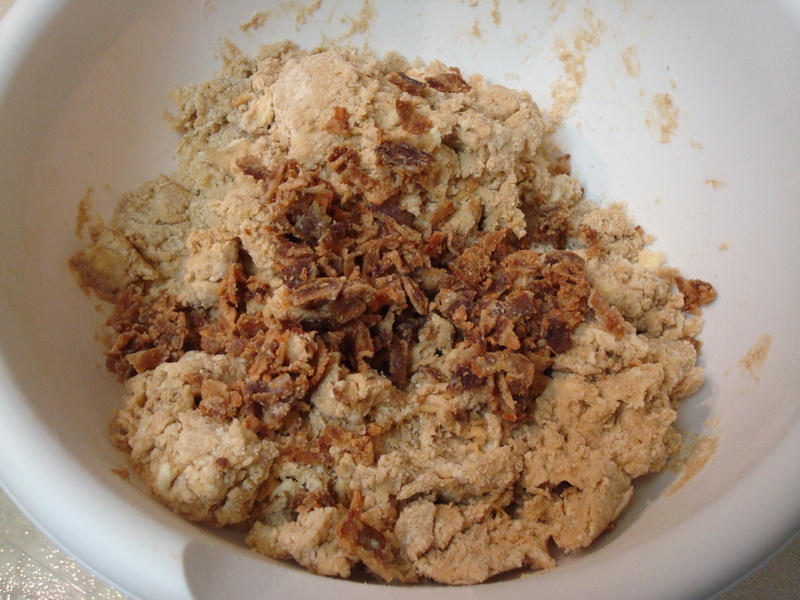 Slowly pour the wet ingredients into the dry ingredients and then gently knead the dough with your hands until the dough starts to come together. 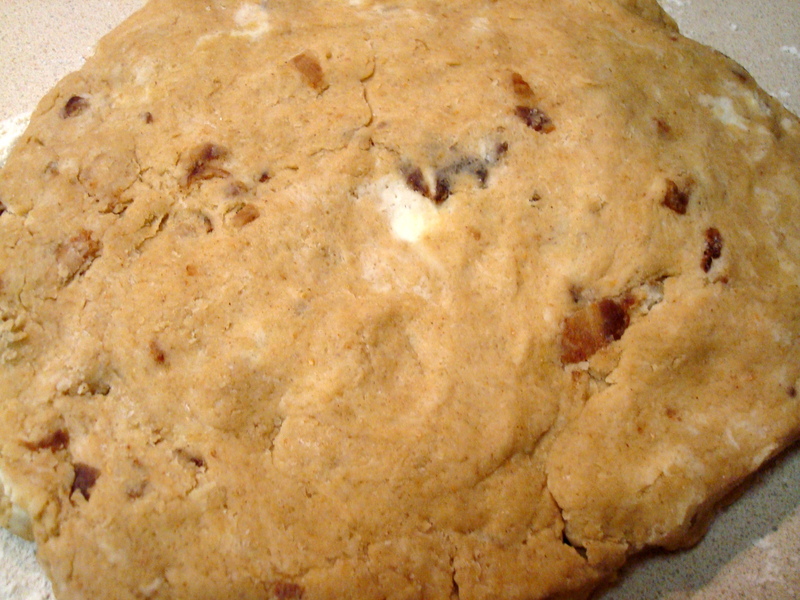 Add the candied bacon (or walnuts) to the dough and knead gently to incorporate. 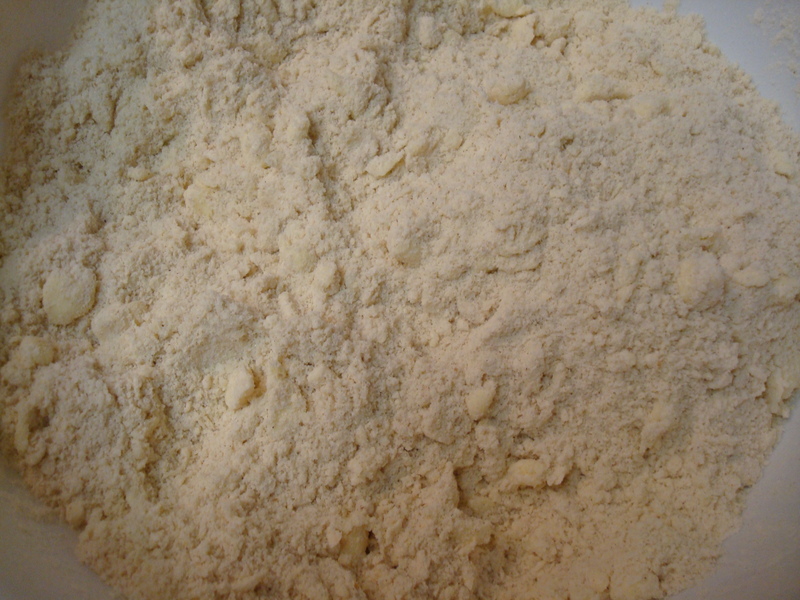 Move the dough to a lightly floured surface. Use your hands to shape the dough into two discs (about 1 ½ inches in height.) Do not overwork the dough. Oh, Kirsten~ My mouth is watering:) A friend of mine was telling me that her granddaughter works at a Lululemons in Chicago. Sounds like something “just right” for our Christmas brunch. Do I have to wait a whole year??? Guess I will print this recipe and try it sometime sooner than 12/25/12. 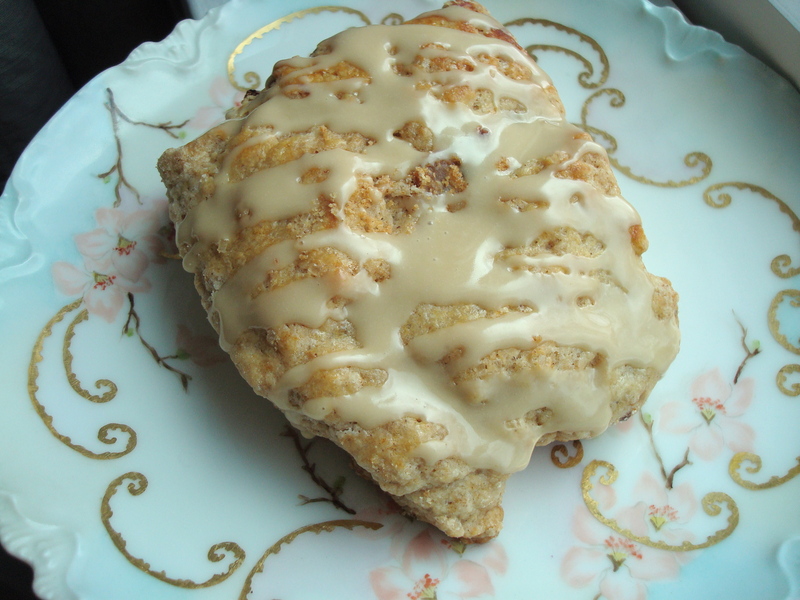 Maple, bacon AND scones? GET OUT!!!! I’m looking forward to trying these!